There are several good reasons to consider buying solar panels, whether it be Photovoltaic or thermal, but the 3 most commonly quoted reasons would be to save on your household energy bills, make an income from feed in tariffs and to reduce reliance on buying your energy from giant energy corporations who seem to be regularly in the news media for unfair or unclear pricing. This is all very good, but how do you go about buying fully fitted solar panels and what factors should you be aware of before signing a contract. Most residential property roofing can accept solar panels (except asbestos or thatched) but it should be primarily free of shading and have a Southerly facing surface, or be within 55 degrees of south facing. Flat roofs and ground areas can also accommodate installations, but will need special mounting. Slate roofs can be more expensive than concrete tiled roofs to fit solar PV panels on, as generally the mounting systems are more labour intensive to fit. Your property should have an Energy Performance Certificate (see miscellaneous FAQ”S) showing your home is rated Band C or above to get the highest Tariff – be aware that if you fit solar panels to a D rated property, even if you improve the property rating later you will not be eligible for the higher Tariff. You will not be eligible for the Feed in Tariff if your installation is not certified by an MCS registered contractor or company. 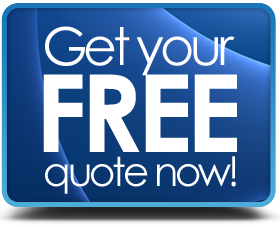 Subsequent to your survey, the company should provide you with a full written quote which will not only clearly show the cost of the work but also an official estimate (SAP approved) of potential income from the feed in tariff & savings on your utility bills. Advance Deposits at time of signing the contract should be no more than 25% of the total cost and it is best to work with a company that has some kind of insurance backed deposit guarantee in place. The RECC also specifies that companies are not to offer large “on the spot” special offers or discounts or any other method that can be viewed as pressuring the customer to buy. Get at least 4 quotes from MCS certified companies – take your time to review them in detail and only go ahead when you are satisfied that all your questions have been answered. Fully Fitted Solar PV & Thermal Panels. Competitive Prices From MCS Certified Companies.